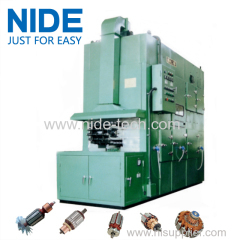 1.used for electric motor armature insulation treatment. This rotor varnish trickling machine has a big framework and oven. Therefore, it can do trickling and curing. It has a wide application range. 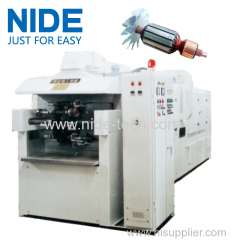 This varnish impregnation machine is suitable for mass production. It can do varnish trickling and curing. All the process will be done automatically. 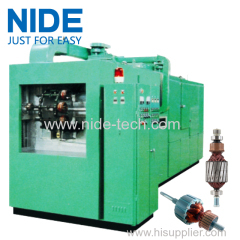 1.Armature trickling machine is used for armature insulation treatment. 2.The whole process,except loading and unloading,is completely automatically. 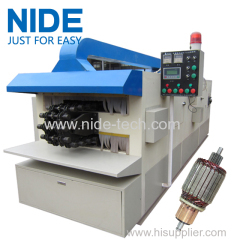 Group of Armature trickling machine has been presented above, want more	Armature trickling machine and Armature varnishing machine, Please Contact Us.